Rehan last swam competitively on the 17th of July, 2012 in Rome. He returned home with a vision of a much-needed break after 20 years of living a competitive swimmer's gruelling life. Someone suggested he try his hand at Golf to unwind. Around the same time he happened to watch a movie - 'THE GREATEST GAME EVER PLAYED', and felt the faint stirrings of interest. Inspired, he went to the course, hit a few balls, took a couple of classes, and several days later, found himself spending six hours a day at the Golf Course in a full blown love affair with this new game. Rehan is guided in his training by coach Justin Parsons, at the Butch Harmon School of Golf, in Dubai (well known for training former World Number 1, Rory McIlroy). His daily schedule has him practicing on the fairways for 6 hours followed by 2 hours of gym training with the single minded goal of becoming a scratch handicap golfer, and either a top amateur or playing the professional circuit in India in four years' time. Being an Olympian in one sport, Rehan wants to do what no other sportsman may have done, become an Olympian in a completely new second sport. He shares this dream with his coaches and is working towards making this a reality, so maybe ten years from now he can look back and say that not only was he successful in the water, but could hit a golf ball pretty well too. 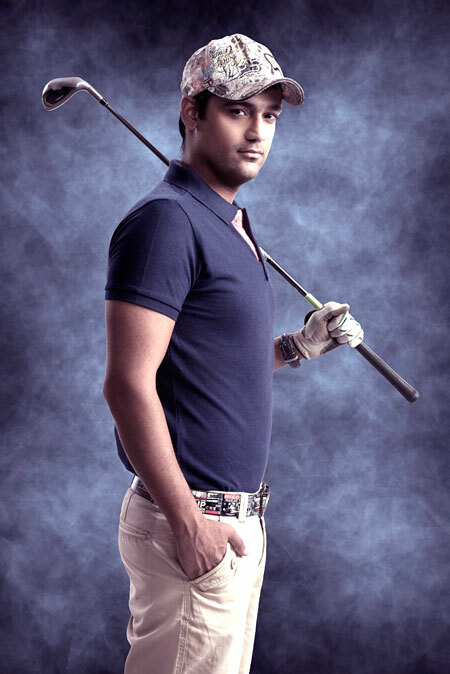 Rehan's switch from swimming to golf and his passion for the game has elicited much interest from the media with full page stories on this journey. Most sport in India however is not financially lucrative. Rehan finances his Golf training through funds raised at SwimSmart clinics across India. Corporate sponsors interested in supporting his training efforts could contact at swimsmart@rehanponcha.com for details.